Clubs and charities often have different categories of members or volunteers – for example these could be different roles, or you could have honorary members as well as formal members. Member Manager makes managing these different categories of members really easy. In addition to keeping track of current membership categories, you can also view previous memberships (for example, you may wish to find out when a full member was previously a junior member, when an honorary member was a full member, etc.). Let's get started – first of all download Member Manager if its not already installed – you can try Member Manager for free for up to 28 days (you don't need to register or give us your e-mail address). You can can edit the different categories of memberships by going to the Data menu and selecting “Edit Membership Categories”. 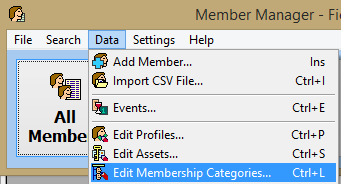 From here, you can add and edit/rename the different membership categories. You can also import/export the list to/from text file. 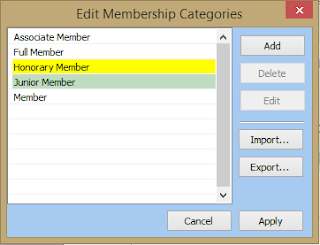 If there are members assigned to that category, then you won't be able to delete that category (as doing so would leave members without a category). You can also right click a category for additional options – including merging two categories into a single category. 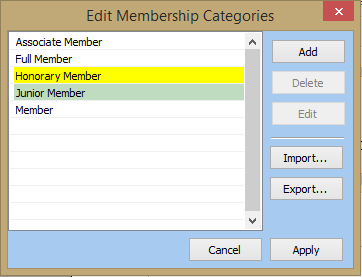 Double click a member to edit that category – including the name of the category, and any colours. This helps make different categories of members easy to identify in search results (e.g. in the above examples you can see that members highlighted yellow are honorary members, and members highlighted green are junior members). 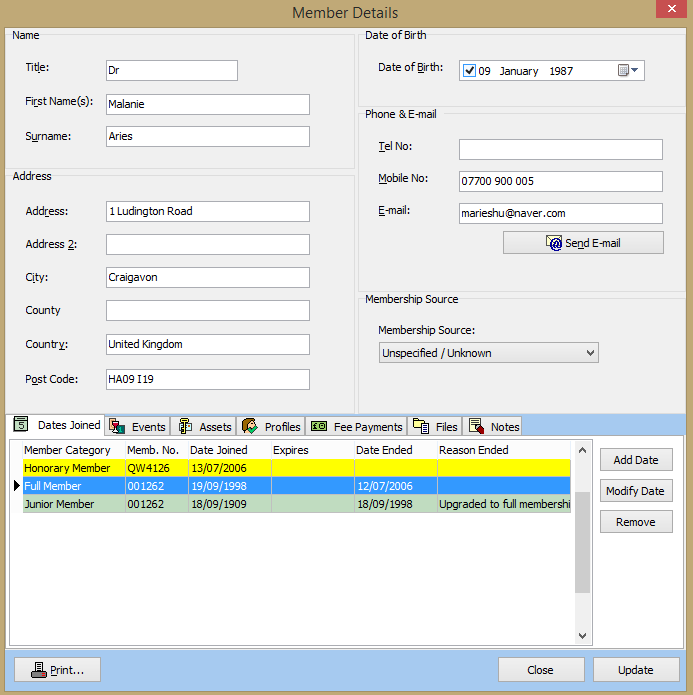 You can set the category of membership when you set the date they joined – you can do this from the “Dates Joined” section when you add/edit a members details. In the above example, you can see that someone who is currently an honorary member was previously a full member and a junior member. 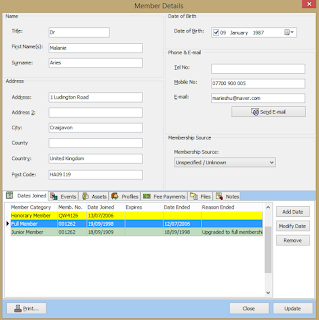 When you import your membership data from a CSV file, the membership categories will automatically be added to the database if these are included – and don't forget that we can help you transfer any existing data across (e-mail simon@libraryplayer.co.uk to discuss further)!